Outrageous organics from the Humboldt nation! 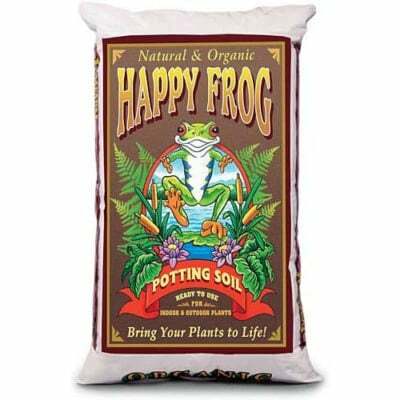 Happy Frog Soil is alive with beneficial microbes and fungi that help break down organic matter and feed the plant roots. Chock-full of earthworm castings, bat guano and composted forest humus… your potted plants are gonna’ feel great. 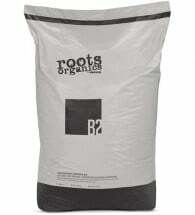 Available in TWO sizes: 12 quart bags and 2 cubic foot bags (51.4 quarts). Container Veggies: Choose a container size large enough to accommodate those scrumptious beauties. Remember not to overcrowd. 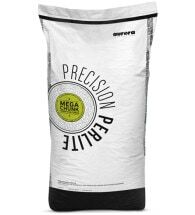 Pot it up by placing enough mix to hold your veggies at the correct height. Gently secure those babies by pressing lightly around each plant. Water thoroughly, stand back and watch that zucchini crop! Planter Boxes: Surround your porch and deck with all those luscious, high-maintenance flowers that make your neighbors jealous. Use full-strength in planter boxes and hanging baskets to keep things blooming. 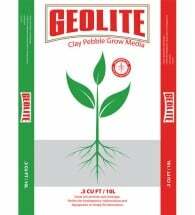 To jumpstart existing planters, work in a 3″ layer of potting soil around each plant. 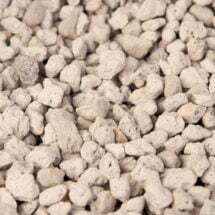 Ingredients: Composted forest humus, sphagnum peat moss, perlite, earthworm castings, bat guano, humic acid (derived from Leonardite), oyster shell and dolomite lime (for pH adjustment).